Now this days,It is very easy to start a Blog with in few minutes,but it is very difficult to continue as a professional blogger.Maximum bloggers fail to continue due to lack of knowledge of the basics blogging that not just SEO or SMO,there are a lots of other things also that should learn first to enhance the quality of a blog.Today i am going to discuss the matters related to search engine optimization and why the bloggers and webmasters should become SEO before starting a blog or become SEO before bloggers.It doesn’t matter what niche is choosed to the blog about. Every niche has huge followers base and to do that it needs complete knowledge of SEO. The main factors and fields of search engine optimization are included here to easily understand by the bloggers and webmasters.Here is the Real Factors Of Professional Bloggers & Webmasters Need To Become SEO Before Becoming Bloggers. Check keywords for the blog or website which are relevant to the targeted site or blog. Daily basis Search Engine Result Page (SERP) position for Particular Keywords and taking necessary steps. Now this days a lots of copy past bloggers and webmasters in internet world so check every day own content.On the other hand never become spam blogger. Meta tag optimization is one of the major critical matter because search engine crawls this part only. Header Tag helps search engine easily reach the blog contents so needs optimization. Image is one of the pure media to understand any topics easily so it needs optimization with proper alt tag. It needs to edit or add content where required to improve quality of content with proper high lighting keywords. Internal linking is more better than 100 outer backlinks. Anchor or link texts is better to get from other site backlinks which improves the SERP visiblities. Blog or website footer text is one of the place where visitors always check.So it needs well optimized text in the footer section. Robots.txt file stops search engine spider to crawl particular file or pages. Site map is one of the easiest way to submit content to the search engine webmaster tools such as Google webmaster tools,Bing webmaster tools etc. Submit site map of any search engine webmaster tools is not easy task which needs advanced knowledge such as Google & Bing Webmaster Tool. More than 2 Analytic accounts for monitoring and maintenance of website or blog. The World Wide Web Consortium (W3C) is a factor of getting high Google page rank. Checking for broken links every day and repair if there any causalities are found. A lots of website or blog having Canonical Issues if it is there then quickly repair them. It is needed to create a 404 error page which can help the visitors to stay tune in the blog or site. Submit blog or website url in search engine. Manual directory submission is a great tool. Google,Yahoo and Rediff have local business page which help to find out easily by the search engine so it is needed to submit website or blog to local business page. 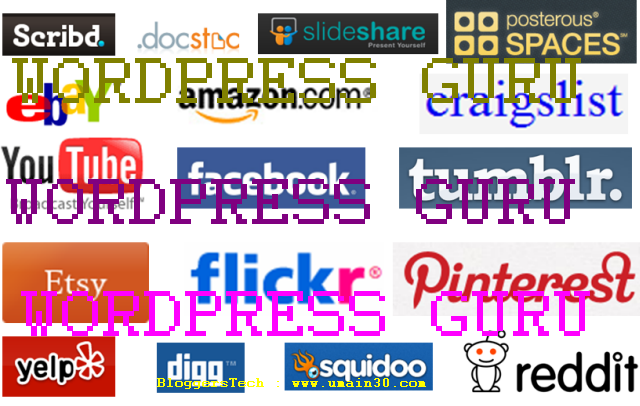 Digg,Stumbleupon,reddit,pinterest are some of social bookmarking sites.So it needs to submit each article to those. It needs to write articles with relevant hyper link and published them to the directory. Press release can help toget more traffic to any site or blog. Discussing forums can make link juice for website or blog so making forum profile with blog or website url. Start to comment in others Blogs to Get Backlinks from.com/.edu/.gov websites. Free classified ads posting is one of the fruitful method to get more visitors. High Page Rank sites like Squidoo Lens & Hubpages Creation and Promotion may help to get more traffics to site or blog. Social Networking Profile Creation such as Facebook,Twitter,LinkedIn,MySpace,Google+ which can bring more targeted visitors. Creating video on the basis of blog or website niche and submit them to youtube,daily motion, myspace,vimeo,videofy etc. It is seen that there are thousands of bloggers across the world who are sharing their knowledge and helping others along with entertaining them.A lots of bloggers and webmasters own great blogs with huge subscriber base and pouring their pockets with thousands of dollars every month.So that a blog combining all Passion,Fame and Money.It needs simply get lured towards that the world and establishing itself as the virtual world.